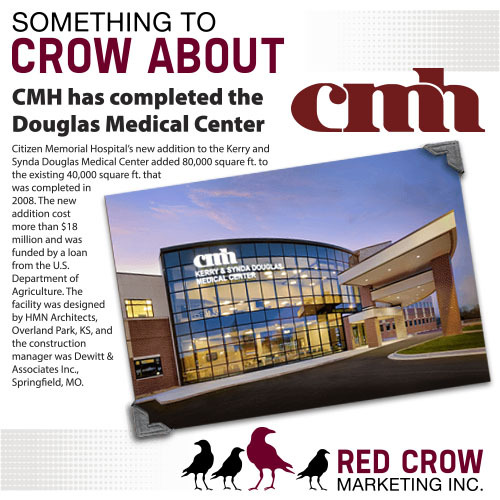 Citizens Memorial Hospital’s new addition to the Kerry and Synda Douglas Medical Center added 80,000 square feet to the existing 40,000 square feet that was completed in 2008. The new addition cost more than $18 million and was funded by a loan from the U.S. Department of Agriculture. The facility was designed by HMN Architects, Overland Park, KS, and the construction manager was Dewitt & Associates Inc., Springfield, MO. 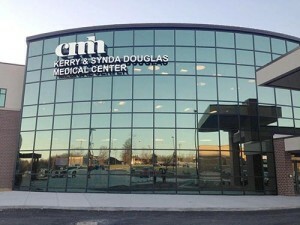 The state-of-the-art Kerry and Synda Douglas Medical Center is home to the Ambulatory Surgical Center and many of CMH’s specialty clinics and services. 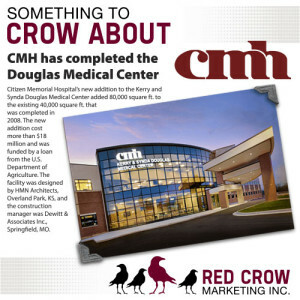 Clinics and services that are housed in the new addition include: CMH Breast Care Center; CMH Imaging Center; CMH Wound and Hyperbaric Center; CMH Infectious Disease and Internal Medicine Clinic; CMH Surgical Services Clinic; CMH Dermatology Clinic; CMH Eye Specialty Center and Optical Shop; CMH Rheumatology and Osteoporosis Center; CMH Infusion Clinic; CMH Laboratory Services; and CMH Information Services Department. Also included are additional surgical suites, an endoscopic suite, a new Ambulatory Surgical Center waiting room, DJ Bean Coffee Bar and CMH Deli. “We are thrilled to be able to showcase this facility. The medical center conveniently houses many of our specialty clinics and added new spaces for our outpatient surgery program,” says Donald J. Babb, chief executive officer/executive director of CMH.